She makes hateful remarks about an American Military Hero and gets her remarks shoved down her throat!!! How could a woman with a rag wrapped around her head 24/7 have any credibility? 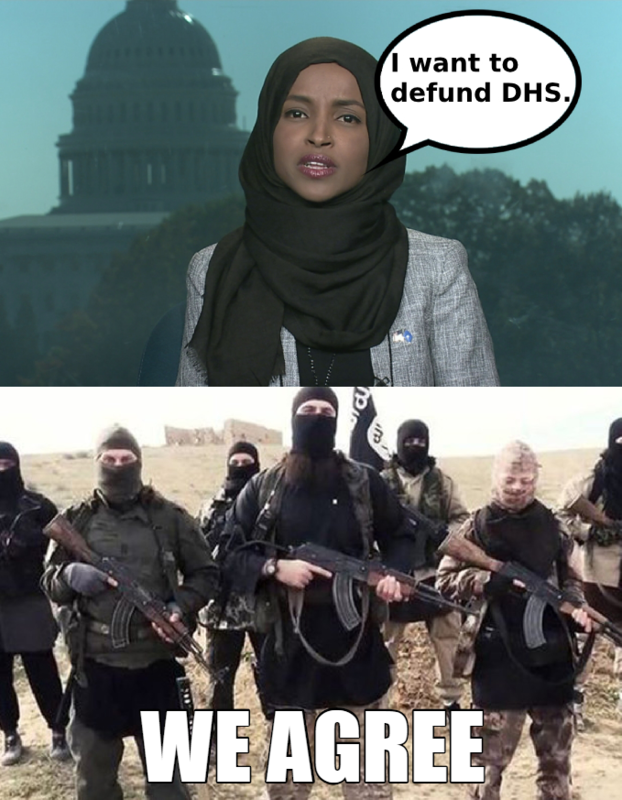 She has proven her loyalties are with the Islamofascists! Re: Muslim Tries To Trash American Hero And Regrets It!! "CAIR was founded after 9/11 because they recognized that some people did something, and that all of us were starting to lose access to our civil liberties," she said. And please, stop using the pejorative Moo-slime...it makes you look ignorant. Just another spinoff of the Muslim Brotherhood! Do you condemn Trump for making hateful remarks about an American hero wavy? how about you d2? So military service makes you immune from criticism of all future actions? Tim McVeigh served in the military does that mean he wasn't guilty of bombing the Murrah federal building and immune from criticism? McCain was a snotty, self absorbed, hypocrite who did what was good for him not America nor the people he supposedly represented! wavy condemns a congresswoman for making hateful remarks about a military hero. I said what about trump's making hateful remarks about a military hero, do you not condemn trump for that? You, d2, said what American hero. now for some strange reason you're back to saying "So military service makes you immune from criticism of all future actions? " you just yammer in circles goofy. McCain was called a hero because he didn't die in captivity, not for killing the enemy like most of the other heroes. So you want to bash McCain to wavy? You’re always such a dipwad. Ms. nitwit.... Did you mean "too"? You are a total DIPWAD and a chitwad!!!! What school did you flunk out of? ? ? ? ?